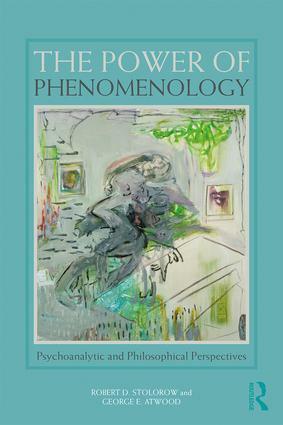 The Power of Phenomenology took form when the two authors realized that a single theme has run through the course of their almost half-century-long collaboration like a red thread—namely, the power of phenomenological inquiry and understanding in a wide range of contexts. This book demonstrates how they have experienced the power of phenomenology in their therapeutic work with patients, especially those struggling with horrific trauma; in their encounters with psychological and philosophical theories; and in their efforts to comprehend destructive ideologies and the collective traumas that give rise to them. The Power of Phenomenology presents the trajectory of this work. Each chapter begins with a contribution written by one or both authors, extending the power of phenomenological inquiry to one or more of these diverse contexts. The contributions are followed, one or two at a time, by a dialogue between the authors, illustrating the dialectical process of their long collaboration. The unusual format seeks to bring the phenomenology of their collaborative efforts to life for the reader. The Power of Phenomenology will appeal to psychoanalysts, psychoanalytic psychotherapists and scholars of philosophy. Robert D. Stolorow is a Founding Member at the Institute of Contemporary Psychoanalysis, Los Angeles, USA. He is the author of World, Affectivity, Trauma: Heidegger and Post-Cartesian Psychoanalysis (Routledge, 2011) and Trauma and Human Existence: Autobiographical, Psychoanalytic, and Philosophical Reflections (Routledge, 2007) and co-author of eight other books. George E. Atwood is Emeritus Professor of Psychology at Rutgers University and a Founding Member of Institute for the Psychoanalytic Study of Subjectivity, New York, USA. He is the author of The Abyss of Madness (Routledge, 2011) and co-author of 7 other books with Robert D. Stolorow. Both he and Stolorow have been absorbed for nearly five decades in the project of rethinking psychoanalysis as a form of phenomenological inquiry.